NBC Stations Launch Successful ’Responde’ Programs Nationwide | Broadcast Public Service: Local Stations. Big Impact. 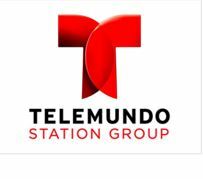 NBC launched “Responde” consumer investigation units at seven Telemundo affiliates: KVEA-TV Los Angeles, WNJU-TV New York, WSCV-TV Miami, KTMD-TV Houston, KXTX-TV Fort Worth, Tex., KVDA-TV San Antonio, Tex. and KSTS-TV San Francisco. Responde has followed up on 700 stories from 13,000 tips and recovered more than $1 million for viewers. The program has helped a Los Angeles woman who was owed nearly $1,000 after participating in a medical research project; a New York victim of identity theft whose bank would not credit him for an unauthorized charge; and a Dallas family living in the dark when their electric company refused to turn on their power for three weeks.